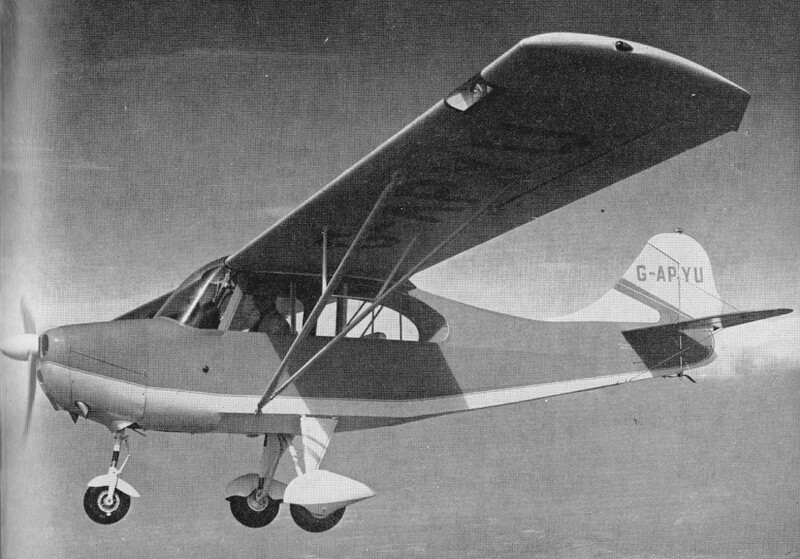 The Aeronea 7AC Champion, predecessor of the Citabria, was a derivative of the prewar Aeronca Tandem Trainer version of the Chief series. The original Champ, which first flew on 29 April 1944 piloted by Lou Wehrung, was powered by a 65-hp Continental engine and designated the 7AC. 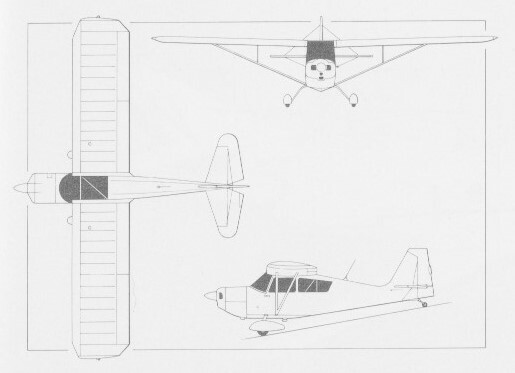 The basic 7AC Champion (7200 built) two-seater offered direct competition against the J-3 Cub. Most had a 65 hp engine but later models had 85 and 90 hp engines. The company built over 10,000 Champions and over 600 Army liaison derivatives between 1946 and 1951. The design proved to be popular, and Aeronca increased the plane’s power rating to 85 hp before the Champion Aircraft Corp. acquired the tooling and rights to the design in 1951. Variations included the Chief (1947) and Super Chief (1948). The 7BCM Champion of 1947 featured "No-bounce" gear, a reinforced fuselage and other refinements. 509 were built, all of which went to USAAF as the L-16A; prototype (NX3124E). The 7CCM Champion of 1948 featured the larger 90hp Continental C-90-8F, a larger dorsal fin, and wing tanks. 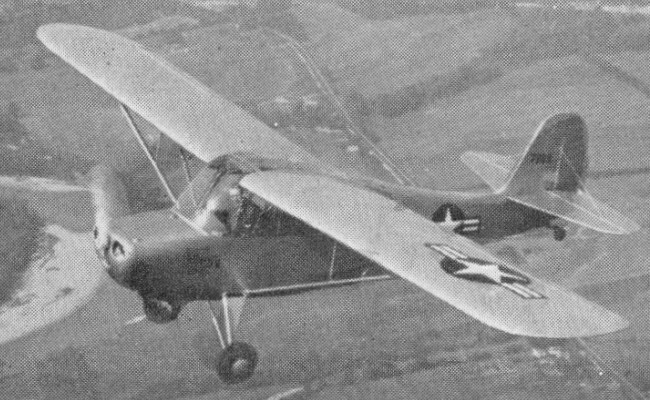 125 were built, plus 100 for the USAAF as L-16B. The 7DC, 7DCM, 7DCS Champion (168 built) had the dorsal fin and larger tail. 7DCM was the Farm Wagon (with wood-lined cargo bin); the 7DCS / S7DC was the float version with a ventral fin. The military version first ordered by the U.S. Army was the L-16A with 85 hp Continental C85-12 engine. 509 were delivered, and were been followed by a series of L-16B's, with 90h.p. Continental C-90-12F engines. All are two-seaters for observation and liaison. 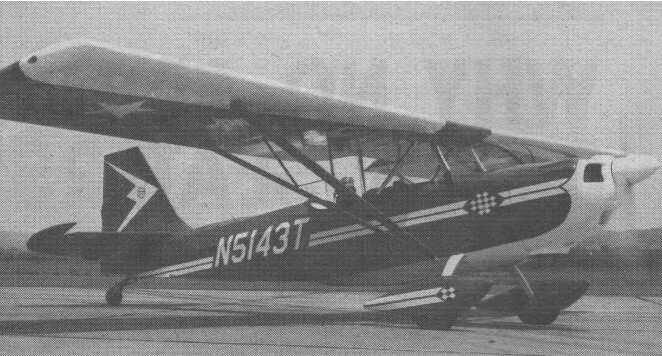 The 7EC, 7ECS Champion of 1949 was the first Aeronca to offer a starter and generator. This design appeared liberally modified in the 1958 Hindustan Aeronautics HAL-26 Pushpak 90hp trainer. The Champion Tri-Traveller two-seat touring aircraft was developed from the Aeronca Model 7 Champion in 1955. In production were the 90 hp Model 7EC Traveller with a tailwheel undercarriage and the 7FC Tri-Traveller with a nosewheel undercarriage. In 1959 the company delivered 274 aircraft. All-up weight of the Tri-Traveller is 1,500 lb, and it cruises at 108 mph over a range of 560 miles. More than 7200 were built up to 1938 as the Aeronca 7AC with 65 hp Continental engine. Production continued with minor refinements until 1964 when production tapered off in favor of the 7ECA, a further improved version of the original airframe. The tri gear 7FC followed the 7EC, both followed by the aerobatic Citabria which continued in production in 1988. 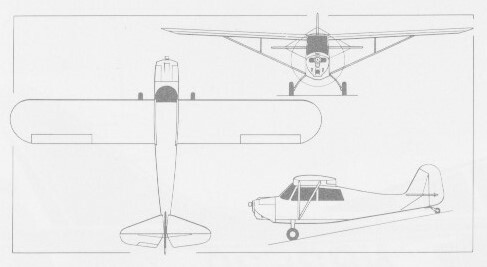 The Citabria versions of the post-war Aeronca 7AC Champion were introduced in 1964 by Champion Aircraft. From the manufacturing line at Bellanca's Osceola, Wisconsin plant. The Champion Model 8KCAB Decathlon is a close cousin to the Bellanca Citabria, the principle difference being its symmetrical NACA 1412 wing section, 2.5 foot shorter span, reinforced front spar, stronger, more closely spaced ribs and constant-speed prop. Both planes come with 150-hp Lycoming IO-320 engines capable of pro-longed inverted flight. The Citabria is approved for + 5 Gs and -2 Gs. 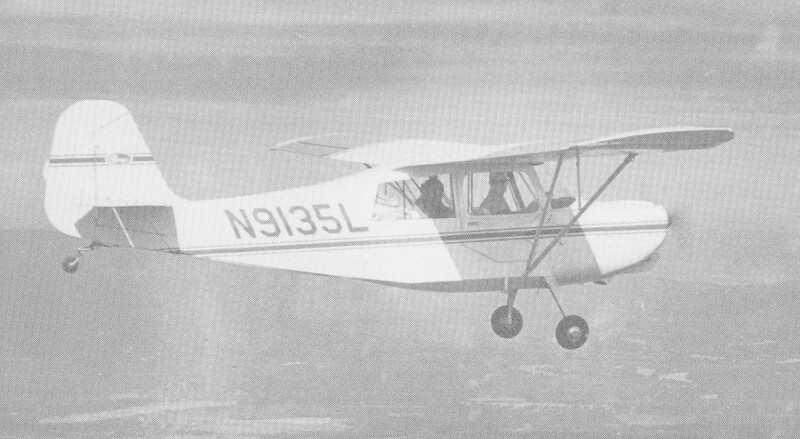 In 1968 Champion Aircraft Corp. came out with a 200-hp singleseat open cockpit version of its popular Citabria aerobatic twoseater for the pilot who wanted better aerobatic capability, but found no customers. In 1970 production was taken over by Bellanca Aircraft. Number built: 509 [47-788/1296], of which 376 were initially slated for National Guard units. Float version with a ventral fin. The 7ECS / S7EC was the float version. Became the Champion 7EC in 1955. Engine: 1 x Lycoming O-235-C1, 115 hp. Equipped useful load: 553 lb. Payload max fuel: 343 lb. Range max fuel/75% pwr: 399nm/3.7hr. Range max fuel / 55% pwr: 600 nm/ 6.3 hr. Min field length: 890 ft.
Tricycle gear version of 7EC: 1 prototype. Engine: 1 x Lycoming O-320-A2D, 150 hp. Equipped useful load: 500 lb. Payload max fuel: 290 lb. Range max fuel/75% pwr: 381nm/3.4hr. Range max fuel / 55% pwr: 494 nm/ 4.8 hr. Min field length: 755 ft. Equipped useful load: 470 lb. Payload max fuel: 260 lb. Range max fuel/75% pwr: 378nm/3.4hr. Range max fuel / 55% pwr: 489 nm/ 4.8 hr. Min field length: 567 ft.
Engine: 1 x Lycoming IO-320-E2B, 150 hp. Equipped useful load: 480 lb. Payload max fuel: 270 lb. Range max fuel/75% pwr: 381 nm/3.4 hr.